Levi Ridout was born in 1822 in Bradford Abbas, just south of Yeovil. He was the son of thatcher George Ridout and his wife Harriett. In the 1841 census Levi was listed as a carpenter's apprentice and was living at Bradford Abbas with his parents and five younger siblings. In the spring of 1843 Levi married Sarah Lemon at Bath. Sarah was the daughter of farmer James Lemon of Over Compton, just east of Yeovil, and his wife Elizabeth. Levi and Sarah were to have nine children - John Lemon born 1845, Elizabeth born 1847, George James born 1850, Harriet Francis born 1851, Sarah Jane born 1854, Lydia born 1856, James Lemon born 1857, Mark born 1859 and Robert Levi born 1861. In 1845, according to local Criminal Registers of the Somerset Assizes and Sessions, Levi Ridout, alias Ridewood, was sentenced to one month imprisonment on being found guilty of assault. He was described as well educated and aged 24. In the 1851 census Levi and Sarah, together with four of their children, were living at Reckleford Hill. Levi listed his occupation as Carpenter & Joiner. In Kelly's Directory of 1861 Levi was listed as a beer retailer and carpenter in Sherborne Road - although where Middle Street and Sherborne Road meet has often been a moot point. In the census of the same year he was living in Middle Street at such a location - midway between the Railway Inn and the Elephant and Castle - that it could only have been the South Western Arms. With the coming of the railway and the building of Yeovil Town Station, Dodham Lane all but disappeared - the only part to survive was the section that became South Western Terrace, named after the London and South West Railway Company. A right of way from Newton Road to Station Road was granted to Levi Ridout, who built South Western Terrace along it and turning the corner to continue along Station Road. A new right of way was created from Station Road to Stars Lane which later became Gas House Lane. By 1871 Levi and Sarah, together with their children, were living in a new house in Newton Road that Levi had built himself. Levi listed his occupation as a builder. At the same time his eldest son John, also a builder and presumably worked with his father, was living in numbers 1 & 2 South Western Terrace. Levi Ridout died in Yeovil in the spring of 1872. He was aged 49. 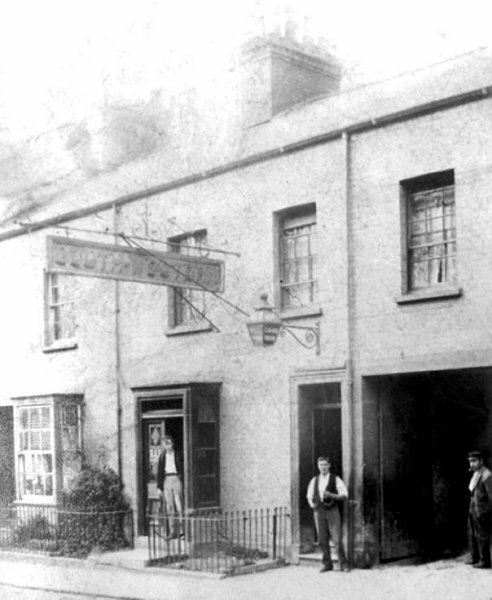 This photograph taken about 1900, thirty years after the death of Levi, is of the South Western Arms in Middle Street. 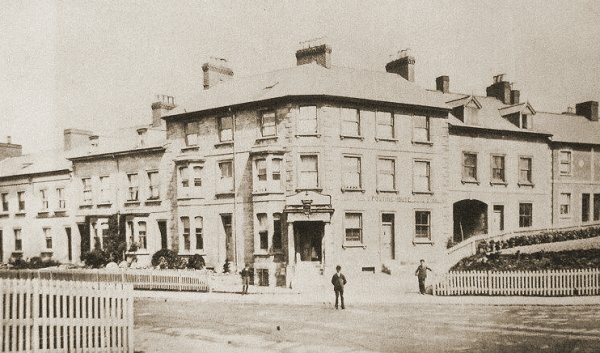 This photograph, taken about 1885, shows the Alexandra Hotel at the centre of South Western Terrace - all built by Levi Ridout. Notice that, although the buildings at right had been built, the road itself had not yet been fully constructed and was the remnants of Dodham Lane. At this time the road at left, now Old Station Road, was called Station Road. 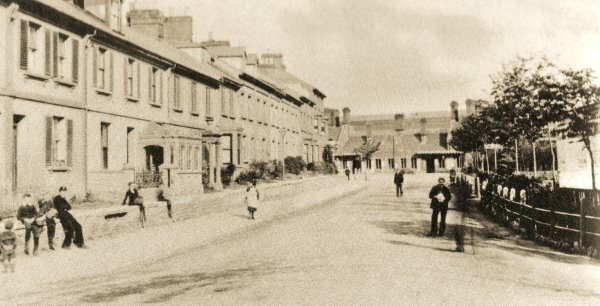 Station Road photographed in 1896. The terrace of buildings at left, still there today, is South Western Terrace built by Levi Ridout. At the far end is the Yeovil Town Station.